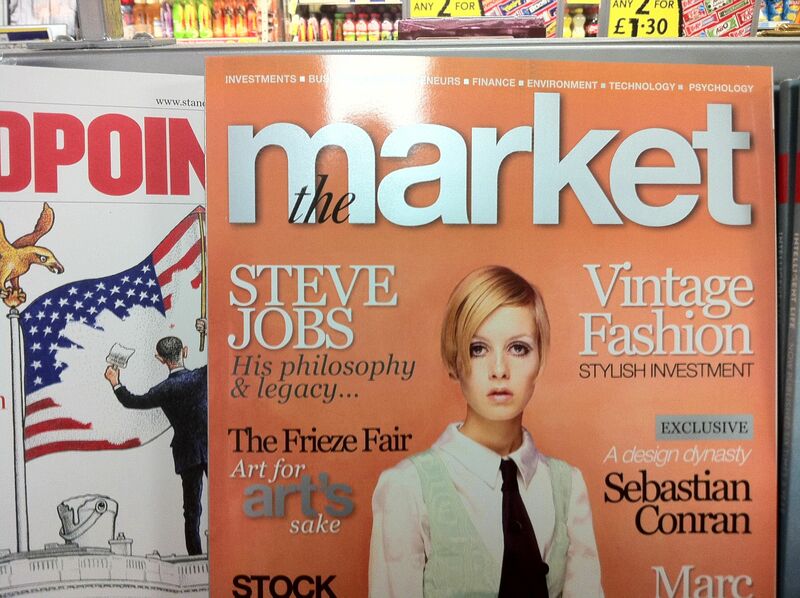 Just to round off my blogging around the death of Steve Jobs – which rendered the cover line on the magazine above strangely apposite when I spotted it in Victoria Station last night – here’s a few other posts that have crossed my radar. > We still are moving through the early days of this revolution, but Steve Jobs saw it coming more than a quarter of a century ago, when he was only 29-years-old. He didn’t make it to see another 29 years. And it’s worth noting that the first web browser was created on a Steve Jobs created machine: the NeXT cube. > The use of that last phrase, “style over substance” has always been, as Oscar Wilde observed, a marvellous and instant indicator of a fool. For those who perceive a separation between the two have either not lived, thought, read or experienced the world with any degree of insight, imagination or connective intelligence. It may have been Leclerc Buffon who first said “le style c’est l’homme – the style is the man” but it is an observation that anyone with sense had understood centuries before, Only dullards crippled into cretinism by a fear of being thought pretentious could be so dumb as to believe that there is a distinction between design and use, between form and function, between style and substance. > I remember seeing him for the first time that summer and looking upon him with the same sense of wonder that only exists when looking at a celebrity: staring, unable to look away until you realize his gaze might be turning towards yours and then quickly turning your head as to not give the impression you were staring. For the first couple days I did that, joking with others that he literally wore the same outfit everyday: black mock turtleneck and blue jeans. I imagined him getting dressed in the morning and opening up a huge closet with rows and rows of blue jeans and black shirts hanging before him, with him carefully choosing what he would wear that day as if each shirt and pair of jeans had a special meaning to him, even though they all looked the same. > In the summer of 2010, Max was in hell. Everything was right there and now, the noises that were too scary, the smells that were too much, the lights that were overpowering. He had no way of being able to tell us, so he screamed. And screamed… and screamed. > > In a moment of desperation, out came Mummy’s iPhone, with a Cbeebies video on of Razzle Dazzle. > > He instantly focussed all his attentions on that, and the meltdown just disappeared as quickly as it had appeared.